Another delicious Gamay, reconfirming this grape variety is arguably the most gulpable red grape in Ontario (and beyond). The nose is fruity with bright red berry notes, along with flowers and spice. Excellent depth and complexity on the palate with flavours of fresh raspberry, ample balancing acidity and a long finish with notes of spice. Will certainly reward those who cellar for the short-to-midterm but is drinking perfectly well on release. Serve lightly chilled so it feels cool in your mouth (13-15C) and enjoy it with a range of flavourful every day favourites like pepperoni pizza, shepherd’s pie, pasta Bolognese or veggie stir fry. This was a featured wine in February's wine club package. Appearance: Bright, semi-opaque. Raspberry-coloured core, lighter rim. Nose: Medium aromatic intensity. Dark cherry, raspberry, boysenberry, strawberry jam, blackberry, cotton candy. Palate: Medium body, medium acid, medium tannin. Sweet tobacco, violets, ash, graphite, dark cherry and raspberry. Food Pairing: Pesto-based pasta dishes, cheese board, cedar plank grilled salmon, pad thai with extra vegetables, beef pho, Caribbean food like jerk chicken and roti, stir-fried beef and broccoli, and herb-cured grilled pork roast. Esteemed winemaker Jean Pierre Colas has been with 13th Street Winery for over a decade, and he brings his wealth of experience and high standards to every bottle he produces. His specialty is in producing red wines that are central to the Niagara Peninsula terroir – Gamay Noir, Pinot Noir, Cabernet Franc, and Syrah. This is a fantastic Gamay, one of the best that’s coming out of Niagara. The flavours are balanced and consistent, and linger nicely on the palate. 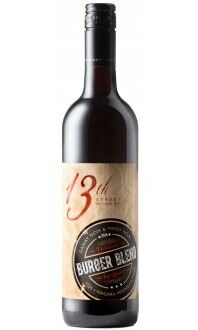 A fabulous wine with which to toast 13th Street Winery’s 20th anniversary – cheers!